This is the beginning to a poem that left me smiling and quite possibly with a few giggles, My Dad Made my Lunch by Barbara R. Vance. 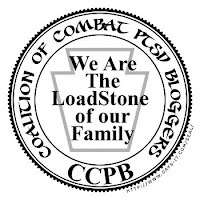 As the poem continued, it left me thinking about how life after combat has changed my husband and how this would most definitely be something he would do. 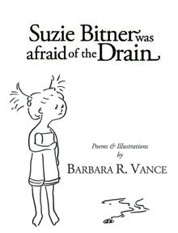 Suzie Bitner was afraid of the Drain is a book filled with poems and illustrations by Barbara R. Vance. This book is perfect for children and will leave your little one full of laughs, smiles, and things they can relate to. From poems about Patience, Sharing, My Brother Is Driving me Crazy, Braces, someone being Sick to Maisy brushing her teeth and so much more, parents will be thrilled to see their children smiling as they read through 'Suzie'. Barbara created illustrations for every poem she included in 'Suzie', pulling people of all ages into each page. 'Suzie' will turn a child's mood from sad to happy after reading a few lines of any poem in the book. Overall, this book is a wonderful read. The poems and illustrations have been created in ways that kids will understand. 'Suzie' is a book that I would recommend being in all homes and shared with many. As I read through it, it took me back to when I was a child reading Shel Silverstein's Where the Sidewalk Ends and left me thinking this is the first book that has held a place next to Silverstein's book. "I simply won't go near the tub", she pinched her face and cried. Oh, did I leave you hanging onto what happens to Suzie and her bath? Pick up a copy of Suzie Bitner was afraid of the Drain for your house, for your child. Bring childhood in yourself to life again as you share the laughs and insight of situations and experiences in this book. complement to her children’s book, “Suzie Bitner Was Afraid of the Drain”. from The School Library Journal, KERA’s Art & Seek, and numerous others. free printable dictionary, written just for vocabulary words found in the book. through this very worthwhile project! For more information, please visit www.suziebitner.com.